It gives me great pleasure to welcome you, on behalf of the International Union of Marine Insurance (IUMI) and the General Insurance Association of Japan (GIAJ), to the 2017 IUMI Annual Conference here in Tokyo. The common theme for this year’s conference is “Disruptive times – opportunity or threat for marine insurers?” and it could not be more fitting given the current market environment. The theme encompasses the recent difficult market conditions and unsettled political environment through which marine insurers must navigate if they are to continue to provide high quality underwriting provision for their clients. There are major changes under way with cyber attacks, big data, Internet of Things, accumulation of values and autonomous shipping, to name just a few of the challenges we face. 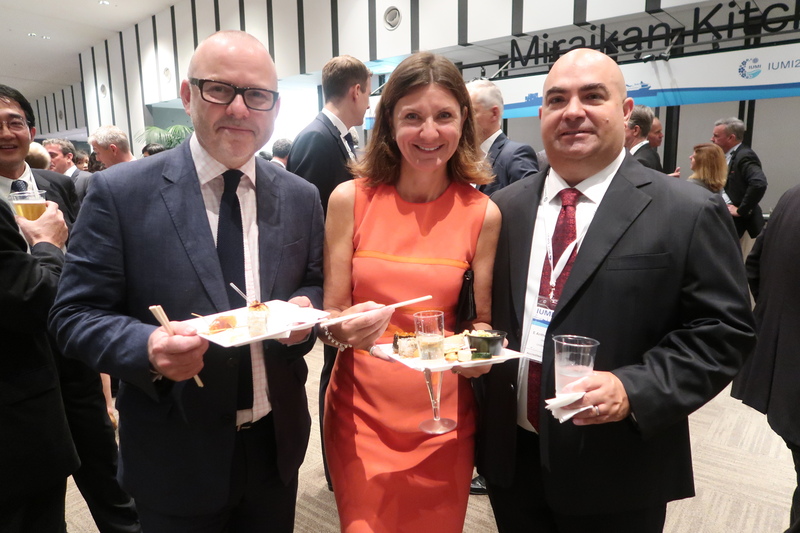 Coming together here in Tokyo, a remarkable and beautiful city with a deep-rooted history in marine insurance, is the perfect time to exchange ideas, as well as embrace the emerging opportunities that will inevitably accompany these changes. As an organisation, we trace our roots back to the late 19th century and an initiative by the German underwriters who, in 1874, formed the Internationaler Transport - Versicherungs - Verband in Berlin. This later became IUMI and its purpose was to create an association “where the members could discuss business matters of common interest”. Our association has thrived throughout a period of continuous increase in the volume of international trade and consumption; and of constantly improving communications. Now, 143 years later, IUMI represents 43 national and marine market insurance and reinsurance associations. Operating at the forefront of marine risk, it gives a unified voice to the global marine insurance market through effective representation and lobbying activities. I hope that you find this year’s conference interesting and thought provoking and please do not forget to have fun and enjoy the wonders and kind hospitality of Tokyo, a city unlike any other! Autonomous ships - Redefining the industry? Capt Jarek Klimczak, Risk Engineer-Marine, Asia Pacific, XL Catlin, Singapore looks at the evolving role of ship captains in the wake of technological advancements and the emerging trend of “autonomous vessels”. How does this impact insurance and risk management? In the “old times”, the shipmaster was considered “next after God,” because there was seldom anyone else onboard the ship with greater power. The status of the Ships’ Captains has gradually diminished due to changes in the industry and technology. But as the command centre slowly shifts ashore, the question remains whether modern ships still require Masters and crew on board? Industry observers and several research projects have already acknowledged that autonomous shipping is the future of the maritime industry. The MUNIN (Maritime Unmanned Navigation through Intelligence in Networks) programme, led by Rolls Royce and co-funded by European Commission, aims to design autonomous cargo ships that could be remotely navigated from Shore Control Centre (SCC) by land-based controllers. Another project called MARS (Mayflower Autonomous Researcher Ship) was also launched early this year, from a partnership of Plymouth University, autonomous craft specialists MSubs and Shuttleworth Design, to create trimaran equipped with state-ofthe- art wind and solar technology enabling an unlimited range. The current shipping market, affected by a global recession, faces various challenges. New international requirements impose legislations to limit ecological impact of ships, especially in relation to emission, ballast water treatment and disposal of sewage. The attraction of an unmanned ship would also increase cargo intake in place of the conventional accommodation. Such vessels need not be equipped with all crew support systems ie air conditioning, sewage treatment plant, food storage facilities and lifeboats. In addition to these economic considerations, statistics reveal that almost 75% of maritime accidents are attributed to human error and “a significant proportion of these are caused by fatigue and attention deficit”. A challenge for designers of autonomous systems is to convince users, clients, various maritime institutions, administrations, classification societies and insurance underwriters that the system is safe and 100% reliable. The major concern is related to the communication and flawless teleoperation between ship and SCC. Another area which requires impeccable interpretations and compatibility of data, is coordination between autonomous and conventional ships. In this sense, the ship’s architecture will be based on sensor fusion and multitask processing of data under all conditions and in all situations. Providing that all technological challenges related to design self-maintaining, autonomous propulsion system for long deepsea voyages are overcome, the list of other factors under consideration still remains long. Each risk can escalate into different exposures leading to a consequential interdependence of a chain which is only as strong as its weakest link. Due to the fact that conventional shipping is transforming into areas that require different skillsets, especially closely related to communication and IT systems, the role of marine risk managers will have to be redefined. Seagoing experience will likely be superseded by expertise in automation, communication, data processing and IT systems security. It is doubtful that the transition from the current conventional marine transportation be abruptly dominated by autonomous, unmanned ships. The pace of transition will be rather slow and may require a couple of decades. But once the first autonomous ship starts her virgin trip across the oceans, the new era will begin. In the aftermath of the revolution, there may be a mixture of vessels with different levels of autonomy operating at sea. Mr Dieter Berg, President of the International Union of Marine Insurance (IUMI), gives an overview of the marine insurance market today, noting that there are positive signs but warning against rising protectionism which is a threat to all. In 2016, the “Year of the Rooster” brought with it some fresh challenges for the marine insurance market. The rooster symbolises fidelity and punctuality, and with the continued decline in marine insurance premiums over recent years, marine insurers could do worse than adopt these two qualities as they navigate the immediate future. The current market environment continues to test marine insurers. Renewals are extremely competitive with ongoing rate reductions, heated by the continuing overcapacity and an abundance of capital, leading to reduced levels of profitability. The pressure on marine insurance premiums over the last years is beginning to level out as cycle management becomes key with regard to shrinking margins. Coupled with this, the market is now much more aware of large potential risks associated with cargo storage and value accumulation. This has led to decreasing insurance capacity in some industries, particularly in the automotive sector. In offshore energy insurance, the low oil price and its constraining impact on oil exploration and production has encouraged insurers to compete fiercely over shrinking premium volume. The result of this has been a significant drop in premium income and a growing disparity between market premiums and actual losses. A flicker of hope is the embryonic oil price recovery and oil companies are adapting their business models to this new norm. A number of mobile units that had been laid up are now returning to service and employment in the energy sector is starting to grow. The development of the global economy is an important factor/driver for global trade and marine insurance. There are some signs of emerging opportunities in 2017. We expect a slight acceleration in global economic growth, with activity projected to pick up pace this year and in 2018, particularly in emerging markets and developing economies. The current strong US dollar is helping to support struggling economies in Europe and Japan, boosting exports. The Asian marine insurance market accounts for almost 30% of global premium income, and trade in this region continues to grow. Other positive signs include stronger growth in the USA, the recession in Brazil and Russia coming to an end, energy prices stabilising in 2016 with normalisation continuing into 2017 and a recovery in other commodity exporting countries due to higher prices. But these benefits could be countered by a rising move towards greater protectionism. The banking and sovereign debt crisis in the Eurozone has not been solved and several EU member states continue to face difficulties. There is a risk of slumps in emerging markets, particularly China, where for the last three years, China’s imports have been much lower, which has negatively affected the economies of other exporting countries. World trade volume has stagnated since 2011, with a probable decrease in 2015 and 2016. Besides the weakening of the world economy, another reason is the continued increase of protectionist measures since 2009, which is a major threat for economic growth. More than ever, free trade agreements are currently in jeopardy, particularly in Europe and USA, where there is a political trend to blame globalisation for domestic problems, strengthening populist movements and an upsurge of nationalism. The free trade system created greater wealth worldwide and strengthened the peaceful cooperation between trading nations but has never been popular. Free global trade and the global exchange of goods is the foundation for growth and prosperity across the world economy. Going back to nationalistic isolation and protectionism is likely to have a negative impact on all those involved – industrial countries, emerging markets and developing countries – including global marine insurance. Mr Dieter Berg is President of the International Union of Marine Insurance (IUMI) and Senior Executive Manager at Munich Re. This article was first published in Asia Insurance Review, October 2016. While ballast water is essential for safe and efficient modern shipping operations, it may pose serious ecological, economic and health problems due to the multitude of marine species carried in ships’ ballast water. These include bacteria, microbes, small invertebrates, eggs, cysts and larvae of various species. After more than 14 years of complex negotiations between IMO Member States, the International Convention for the Control and Management of Ships' Ballast Water and Sediments (BWM Convention) was adopted by consensus at a Diplomatic Conference held at IMO Headquarters in London on 13 February 2004. The BWM Convention recently entered into force on 8 September 2017. 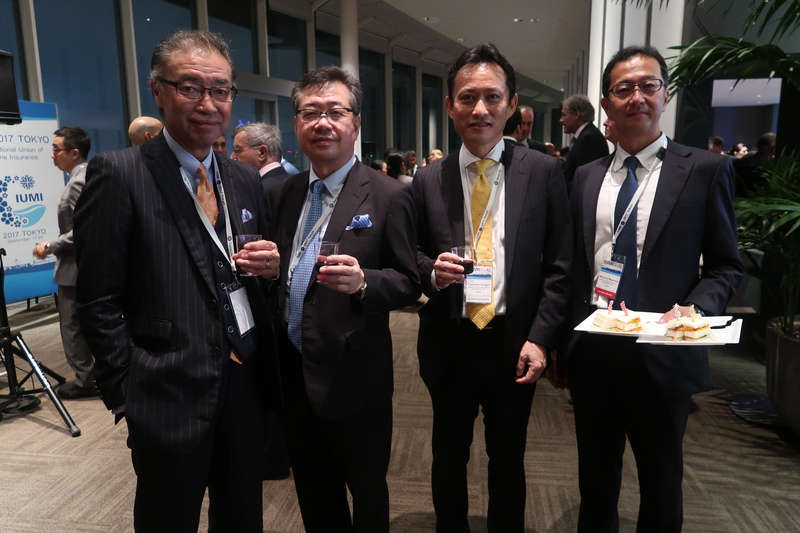 This year’s IUMI conference brings more than 400 delegates together at the “Grand Nikko Tokyo Daiba”, which is known for its beautiful scenery backdropped against the Tokyo Bay. With the marine industry undergoing massive changes from smart ports to autonomous vessels, the theme of the conference “Disruptive Times – Opportunity or Threat for Marine Insurers?” is a timely one. There can be no doubt that interconnected systems, which will be the norm in shipping and logistics in the very near future, are inherently vulnerable and that these vulnerabilities will be exploited. To support the industry and capture the opportunities of this new paradigm, marine insurers will have to be creative and resourceful. Over the next three days, the conference will cover pressing topics such as the Internet of Things in shipping, cyber risks and big data analysis. A broad view of the marine insurance environment, evolving marine liabilities, automotive risks, marine security threats and the currently distressed shipping market will round off the agenda. Here’s to a fruitful and enriching conference! Digitalisation will redefine the shipping and logistics industry and marine insurers need to have a good understanding of these technological trends in order to undertake sound risk evaluation and risk management, said IUMI President Dieter Berg. During the opening session yesterday, Mr Berg said the theme of disruption for the conference was apt from various angles – from technology to politics and global trade. From a macro perspective, the marine industry continues to feel the impact of a weak global economy that has resulted in lower investments as well as weaker trade, which has been further compounded by an upsurge in protectionist trends. While there have been signs of recovery in some of the major as well as emerging economies of the world, there also remains continuing headwinds as anti-globalisation forces have put many free-trade agreements (FTA) at risk, said Mr Berg. He added that free trade and global exchange of goods remain the foundations of growth, although FTAs would also need to be fair and balanced. Parallel to global trade volumes, marine insurance premium has been steadily falling since 2012 and will continue to shrink amid disruptive forces. Mr Berg said digitalisation will transform the existing insurance value chain, amid an evolutuion in distribution trends as well as the changing consumer habits of millennial clients. However in response, insurers should evolve their value proposition beyond merely paying claims but also providing expertise in risk consulting – which includes preventive risk management as well as loss mitigation. He added that technical underwriting alone will not suffice in time to come, and so insurers need to innovate by using smart technology and data analytics to identify and mitigate risk. By being a trusted consultant and adviser, insurers provide more than just a commodotised product – which are often the easiest to digitise and disrupt. 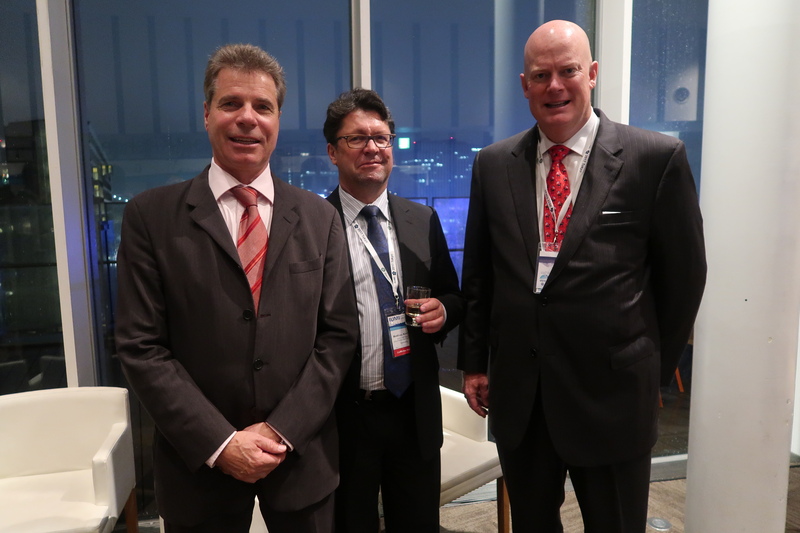 Mr Dieter Berg also outlined three focus areas for IUMI at the moment. - IUMI’s strategic goal of realising an Asian hub is well underway after it opened its first office in Asia in Hong Kong last October in partnership with the Hong Kong Federation of Insurers (HKFI) - the first time IUMI has established a permanent presence outside of Europe in its 143-year history. - IUMI hopes to raise public awareness of the excellent work of its technical committees, as well as advocate the interest of the global marine insurance industry through continuous presence in relevant forums. Earlier this year, it launched a new interactive portal (www.iumi.com) which embraces IUMI’s new corporate identity and updated logo. - In light of the continuous ‘war on talent’, IUMI hopes to attract more young bright minds into the industry and giving them sufficient training. In that regard, the organisation has designed a comprehensive education programme for the global marine insurance industry. 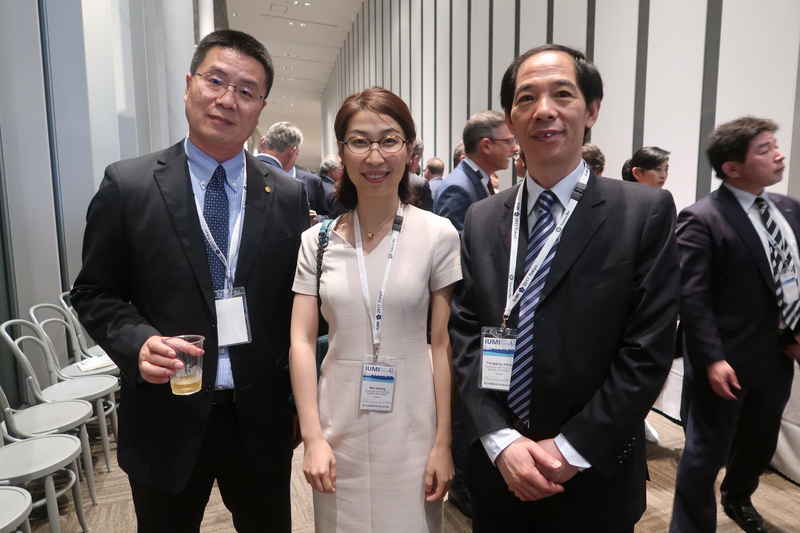 Ms Yuriko Koike, Governor of Tokyo, graced the opening session yesterday where she welcomed IUMI delegates to Tokyo, and briefly spelled out the facelift the city is undertaking in time for the 2020 Tokyo Olympic & Paralympic Games. Her vision of a “New Tokyo” centres around a more diverse, smarter and safer city. 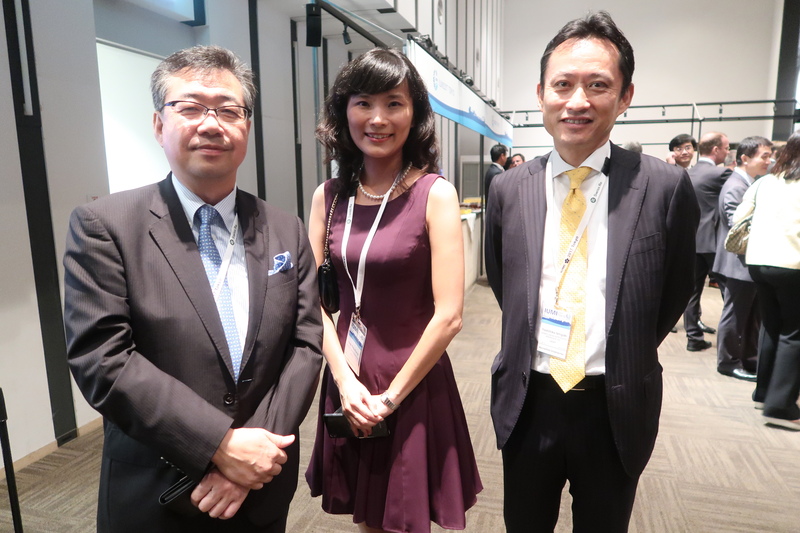 She also spoke on her vision of re-establishing Tokyo’s position as the top financial hub in Asia. At present, the financial sector accounts for 5% of the country’s GDP – and the aim is to double that figure thereby boosting GDP by JPY30 trillion. The first step of this vision was the establishment of the Advisory Panel for Global Financial City Tokyo in November 2016. 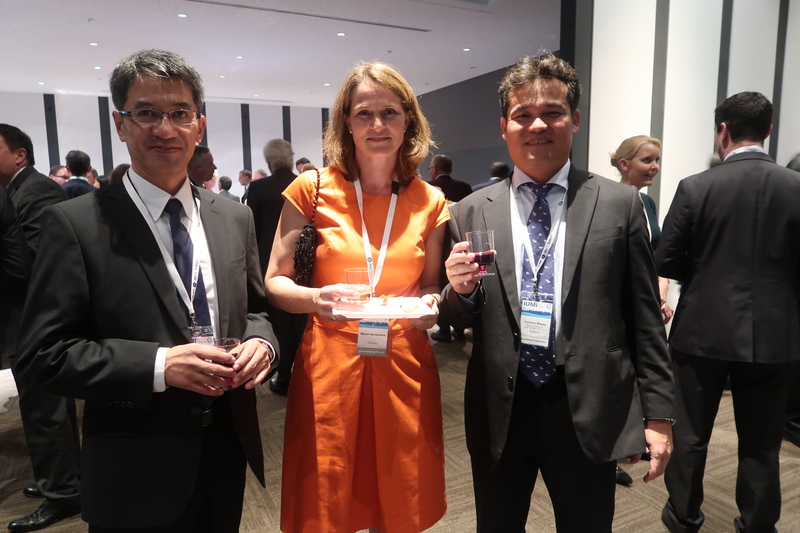 She welcomed the insurance industry to do business in Tokyo as the city looks to reassert its prominence in the financial services sector – which includes a focus on asset management and FinTech firms. 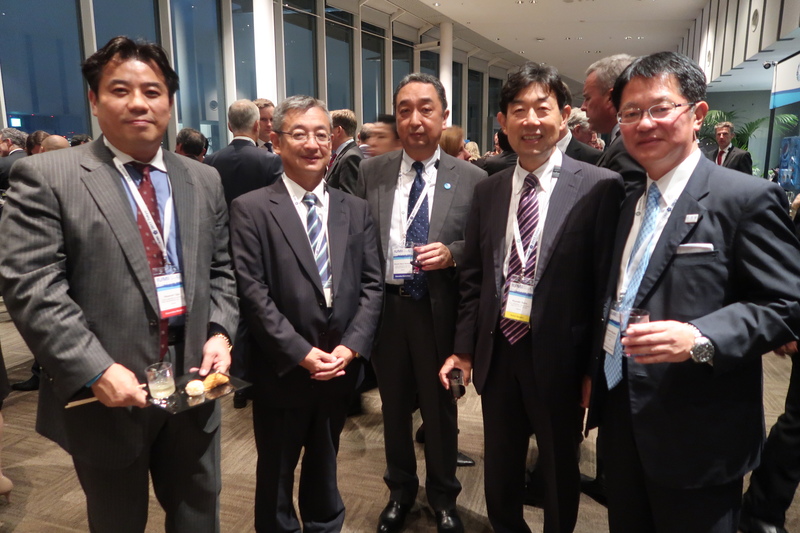 As host of this year’s IUMI Conference, the General Insurance Association of Japan’s (GIAJ) Chairman, Mr Noriyuki Hara, warmly welcomed delegates back to Tokyo – which last hosted the conference in 2006. In his opening address, he hailed IUMI’s invaluable contribution on the marine insurance education front, especially within the emerging markets. He added the theme of the conference - “Disruptive Times - Opportunity or Threat for Marine Insurers?” – was a timely one as innovative technology has and will trigger a lot of changes within the maritime industry. Global underwriting premiums for the marine insurance industry fell to US$27.5 billion in 2016, a 9% reduction when compared to 2015, reported Ms Astrid Seltmann, Vice-Chairman of IUMI's Facts & Figures Committee. Speaking yesterday morning, she explained: "The 2016 number follows a continuing downward trend in marine underwriting premiums. In 2015 the adjusted figures of US$30.5 billion was in itself a 9.9% reduction from 2014. We attribute part of the reduction to the strong US dollar when compared with other currencies, but also to general weak market conditions in terms of the global economy, general commodity prices and the poor state of the shipping and offshore sectors. “This worrying downward trend leads to an increasing mismatch between income levels and the marine insurer's obligation to cover major losses, particularly in light of the trend for larger vessels and greater accumulation of risks in ports." Premium income came mainly from Europe (50%) and the rising market of Asia Pacific (27.9%). Transport cargo was the best performing line of business, with 54% of the 2016 premium and global hull came in a distant second at 25%. The cargo sector reported a premium income of $15 billion for 2016 – a 6% reduction on the 2015 figure. Exchange rate fluctuations impact most strongly on cargo premiums and the recent strong dollar has "reduced" premium income from most other countries, thus making it challenging to identify any real market development. The 2015 Tianjin disaster significantly eroded the performance of the 2014 and 2015 underwriting years. The final position of 2016 is still unclear due to the impact of the loss of the Amos 6 satellite and the current issues surrounding Hurricanes Harvey and Irma. The hull sector achieved a premium income of $7 billion, which was a 10% reduction on the previous year. Although exchange rates may have been partly attributable for the decline, this has much less impact than in the cargo sector due to the global nature of the hull portfolio. Whilst the world fleet continues to grow, it also continues to age. A certain reduction in vessel values will follow with the ageing of these vessels, but the two-digit drop in values from 2015, and particularly for bulk and supply/offshore vessels, must be seen in the context of the challenging market environment. Hull premiums have deteriorated in line with falling average vessel values, and there is now a mismatch between fleet growth and income levels. Both keynote speakers urged insurers to constantly add new value as the industry moves ahead at a rapid pace. The trend towards environmental safety in shipping will lead to a return to wind power as well as greener technology to propel ships in the future, said Mr Koichi Muto, President of the Japanese Shipowners’ Association in the first of yesterday’s keynote address. He said environmentally-friendly ships are trying to move towards zero emissions, as international shipping - which runs largely on bunker fuel - is coming under increasing pressure to tackle climate change by reducing emissions. For example, global shipping firm Maersk has announced plans to fit spinning “rotor sails” to one of its oil tankers to reduce fuel cost and emissions – in what would be the first retrofit installation of a wind-powered energy system on a tanker. As the shipping industry make rapid advances in big data, artificial intelligence, robotics and automation, cyber risk will be a major concern as well as opportunity for the insurance industry, said Mr Muto. He urged marine insurers to respond positively to the evolving risk landscape and take up the challenge to provide the right solutions for ship-owners. In the other keynote address, Mr Kiyoaki Sano, President of the General Insurance Institute of Japan, spoke about the progress of the Japanese marine insurance sector – where the first marine insurer, Tokio Marine, was first founded back in 1879. Today, Japan is the fourth largest hull insurance market in the world, with a book size of approximately US$600 million. On the other hand, its cargo insurance market ranks second in the world, behind the UK, with a book size of US$1.4 billion. 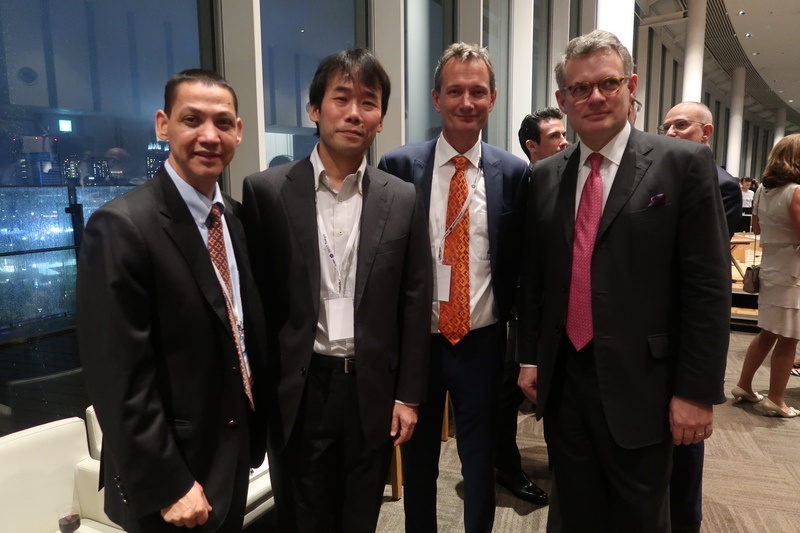 In both areas, Japanese underwriters still value “face to face communication” with clients, and Mr Sano urged them to continue adding more value to their offering as the sector looks to avoid commoditisation. Global seaborne trade increased by 3.5% in 2015 and 2016 despite political uncertainties in various parts of the world, said Mr Donald Harrell, Chairman of the Facts & Figures Committee, during his report yesterday morning. “Seaborne trade is 85% of all global trade and the growth has been very consistent over the past 5 years,” he said. 2016 saw 11.1 billion tonnes of gods being shipped, with energy being the lion’s share of all trade (38%). This growth occurs in a climate of political change, with US trade policy shifting towards protectionism, Brexit threatening upheaval in Europe and possible looming hostilities in the Korean peninsula. There has been good growth in GDP in Brazil, with stable growth in the UK, US, China and India. Most of this growth is likely the result of disruptive innovation and technological advancements, as well the continued recovery of commodity pricing. 2016 has been called the toughest year for the marine industry since 2008. “There have been signs of improvement, but it is still tough to see where we will be over the next 5 years,” he said. The growth of the world fleet is easing and is expected to stabilise around 3%. However, the possible crisis that might arise in South Korea, one of the three main sources of shipbuilding in the world, brings up the question of risk accumulation. According to a study by RMS, the two ports with the most risk accumulation sits in Nagoya, Japan and Guangzhou, China, the two other major shipbuilding sources. “What can we do to mitigate this risk, and are there any other ports in the world that can take on some of the load?” asked Mr Harrell. The offshore industry is going through its own series of issues, with almost 50% of all rigs currently stacked and 33% of OSVs in the same situation. Fortunately, Hurricane Harvey managed to avoid most of the offshore production and laid-up assets around southern US. Mr Harrell also projected a positive future for rig utilisation, in 2017and 2018, correlating with the slow rise of oil prices. “A slow growth is good for the industry, we don’t want a sudden spike in prices,” he said. At the 143rd annual meeting of the IUMI Council, Secretary General Lars Lange revealed the proposed lineup of the Executive Committee for 2018. The Executive Committee is responsible for the administration and management of IUMI in accordance with the general policy determined by the Council. The Executive Committee is limited to six vice-Chairmen. On top of that, the Executive Committee also appoints the Secretary General, the Liaison Officers and Observers. Mr Mike Davies, XL Catlin’s Chief Underwriting Officer, Marine, for Asia-Pacific, shares his views on some of the major opportunities and threats facing the logistics industry. The theme of this year’s IUMI conference is "Disruptive times - opportunity or threat for marine insurers?" What's your view? New competitors, tailor-made solutions and technologies have always been a factor in the maritime shipping and logistics industries. Today, however, it does feel as if these disruptions are coming more quickly and from more quarters. Do these represent an opportunity or threat? Both are distinct possibilities. What’s more relevant is how companies respond when something new and innovative emerges. The imperative today for businesses across the sector is improving operating efficiencies and resource utilisation. In my view, the innovations that could help companies achieve these outcomes include autonomous control systems and self-steering ships; connected objects and the internet of things (IoT); and blockchain and online freight platforms. How will mobile autonomy and the IoT impact the industry? Automotive and technology companies have invested heavily in mobile autonomy, and the technologies that make it possible are rapidly becoming more sophisticated and less expensive. These innovations are now starting to appear in our industry; self-driving ships are currently being tested, and some will go into operation next year. The primary benefit of un-manned fully autonomous vessels is that the elements and systems devoted to the crew can be scaled back if not eliminated. That leads to lighter vessels with lower construction and operating costs. Some observers predict that an autonomous ship could reduce transport costs by as much as 20% compared to a traditional vessel. At the same time, the proliferation of sensors and connected objects will enable ship owners to monitor the performance and condition of different components with greater precision and reliability. And perhaps more importantly, outfitting more and more containers with sensors could help insurers to better understand accumulation exposures. That, in turn, would enable underwriters to tailor coverages more precisely and also bring reinsurance costs down. Finally, spoilage and theft are the most frequent losses cargo owners and insurers face; sensors in containers could substantially reduce the incidence of these events. Furthermore, reductions in the cost of tracking devices now make it more feasible to secure high-value shipments like pharmaceutical products and electronic devices that are attractive to cargo thieves. The industry already has an admirable safety record. Nonetheless, research shows that about 80% of incidents, both at sea and on land, are caused by human error. So the introduction of autonomous control systems should lessen the likelihood of accidents. At the same time, these technologies can introduce new threats. While the pace of innovation continues to accelerate, the security of many applications are still lagging. IoT devices, for example, often lack basic protection measures. These vulnerabilities pose a significant challenge to shipping companies and port operators, and to their insurers. Drug smugglers have already hacked the control system at a major port, and there are examples of autonomous vehicles being commandeered by an “outsider.” Many people are rightly concerned about the possibility of a terrorist organisation taking control of a giant self-steering ship. These developments also have significant implications for our marine risk engineers. In particular, as ships become increasingly automated, marine risk engineers will need to develop expertise in AI, robotics and IT systems as well as know-how in assessing the capabilities and psychological fitness of land-based controllers. Mike Davies has more than 35 years of experience in marine underwriting and has been based in Singapore for most of the past 20 years. 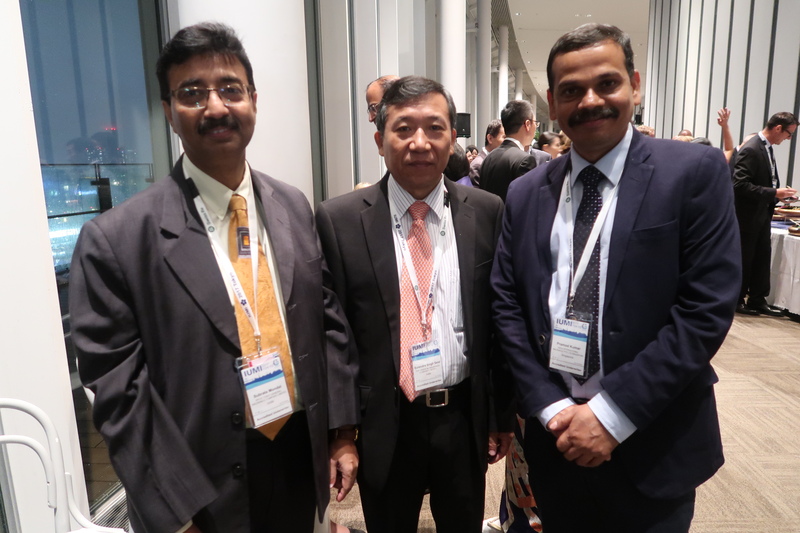 He has also held several leadership positions with IUMI, including serving as Vice Chairman of the Executive Committee and Chairman of the Cargo Committee. 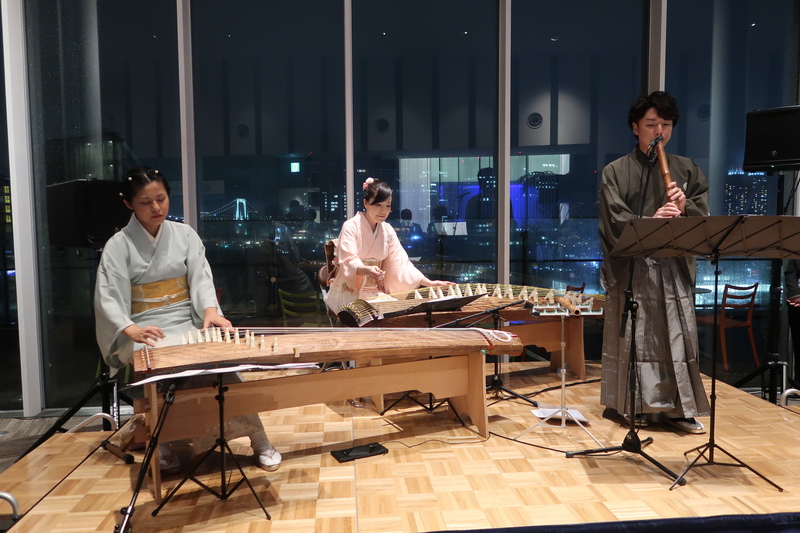 Japan welcomed the 544 delegates of IUMI 2017 on Sunday evening, treating them to the best Japanese cuisine and serenading them with traditional Japanese music. 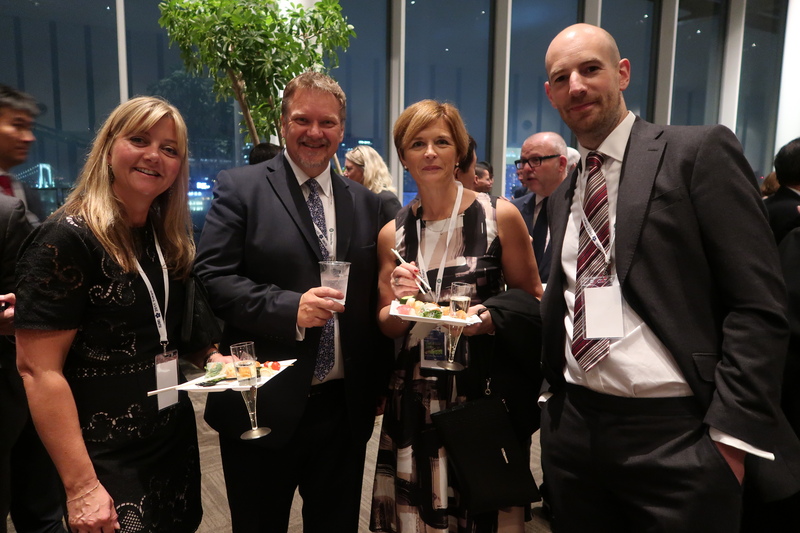 The inclement weather did nothing to dampen the mood, as the members of IUMI - both old and new - enjoyed the very best of Japanese culture. Special mention to the organisers for the smooth and efficient proceedings.